Royal Panda Casino is not accepting Australian players for the time being. We suggest looking at Jackpot City, our #1 rated casino. The royal treatment is available to all Australian players who join Royal Panda Casino. It will start with a matching welcome bonus and present hundreds of the best online pokies the internet has to offer for real money or just for fun. 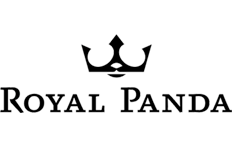 Royal Panda Casino came into the scene in 2014 with the goal of being the best destination for online slots and many other casino games. It didn’t take long for it to get noticed thanks to the collection available and the modern website that hosts it. Australian players quickly fell in love with the panda and the casino is now a top gaming site for fans of pokies. The license in Malta allows it to cater to many important markets, with Australia being one of them of course. Also, the approval from the UK Gambling Commission is always a nice addition since only the best operators are accepted. As for the site, the Flash-based software with HTML5 additions makes it a dream for players to enjoy hundreds upon hundreds of casino games. And they are not all limited to one category since the Royal Panda likes to have fun with table games, video pokers, instant win games and live dealers. The bonuses don’t appear to be that big but they are just perfect for recreational gamblers. Just by registering from our links, players will receive 10 free spins for the iconic NetEnt game Starburst. This is just enough to get warmed up before the welcome bonus of 100% up to $100 on the first deposit. Other promotions at Royal Panda include a 50% reload bonus up to $150 available on every Friday to start the weekend properly. The 21st of every month can come with a win of $210 on blackjack for those who hit 21. Many one-of-a-kind promotions are added to the casino and they can include bonuses, tournaments and more. Australians get to benefit from the entire game collection that Royal Panda Casino has to offer. The big developers are Microgaming, NetEnt and NextGen Gaming when it comes to slots but there are also a few extra ones which share their networks to make for a total of more than 350 online pokies. These are joined by classic pokies and many more options. Royal Panda can be with you wherever you go due to the mobile version of the site that is dedicated to smartphones. iPhone, Android and all sorts of other phones can run the mobile website without any issues and give players access to more than 220 games. For tablets, like the iPad, Samsung Galaxy Tab and more, the platform will use the normal website while still offering the same amount of touchscreen games. So with basically any modern device being able to keep up with the gaming desire, it all comes down to user preference. Slots will continue to represent the majority even on smartphones but the other options cover blackjack, roulette and even some live casino games. The most popular mobile casino games include Twin Spin, Thunderstruck II, DJ Wild, Pyramid: Quest for Immortality, Bar Bar Black Sheep, Royal Panda Live Blackjack and more. These and hundreds of other games can be just a tap away on the website and their graphics remain exciting even when playing from smaller screens. No download or installation is needed and this makes it more convenient for all users. Crossplay: Yes, you can register on mobile or login with the account from the desktop version. If you are just now registering with Royal Panda from the mobile casino, you will receive 10 free spins and a 100% matching bonus on the first deposit that can add up to $100 for free to the account. The website will change automatically to match the device so players just need to go the URL. There is also the option to scan the QR code on a monitor and instantly start it up on a smartphone. No apps, no hassle. Play any game you want! The sad news is that Royal Panda Casino does not accept Australian Dollars. Instead, users can choose from USD, EUR, GBP, CZK, MXN, PLN and SEK. The option to choose the language is found on the bottom, right above the UK GC license. The list will present English as the first one, followed by Dutch, German, Swedish, Czech, Polish, Spanish, Portuguese and Chinese. For customer support, there is a button for Help on the right that will follow you on the site. Clicking on it will present the FAQs, the option for live chat, a web form for sending an email and a phone number. The service is only open from 9:00 to 00:30 GMT+1. The combination of providers at Royal Panda Casino also makes for an awesome category when it comes to the progressive jackpot pokies. Titles like Mega Moolah, Hall of Gods and Mega Fortune easily have top prizes worth more than one million Australian Dollars. And since we are looking at the games closer, the table options are pretty good, with roulette and blackjack being available in multiple versions. Loyal Panda is the reward program where LP Points are earned from bets, no matter if you win or lose. The multi-level program comes with increasingly better perks as the tier goes up and players can choose to use the points to buy gifts from the Loyal Panda Shop. All in all, Royal Panda Casino has a few flaws but it more than makes up for them with the large variety of games and the amusing website design. We were immediately drawn in by the amusing panda and we weren’t disappointed when the big pokies from Microgaming, NetEnt and NextGen Gaming made themselves noticed. The site makes it very easy to browse the games and the same can be said about the smooth mobile casino. The welcome bonus is quite small and while the loyalty program does its best to make up for it, players always prefer more promotions. Also, not having customer support available 24/7 is a drawback only in theory since we didn’t even need to contact the team across our multiple sessions. Play at Jackpot City Casino Now!